Product information "QUIET RIOT - One Night In Milan - CD+DVD Jewelcase"
Quiet Riot’s performance at Frontiers Rock festival 2018 marked the band's first-ever concert in Italy and what a hell of a show it was! The lineup featured original member Frankie Banali on drums, bassist Chuck Wright, who has been involved in the band since the recording of “Metal Health”. Alex Grossi on guitar who has been in the band for 14 years and the new singer is James Durbin, who was on 'American Idol' during the tenth season. 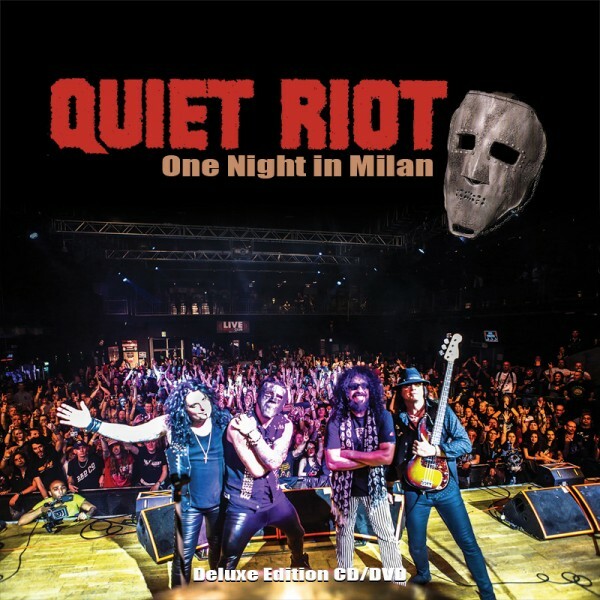 Related links to "QUIET RIOT - One Night In Milan - CD+DVD Jewelcase"
Customer evaluation for "QUIET RIOT - One Night In Milan - CD+DVD Jewelcase"